The 766-BN Spring Spout Faucet offers the appearance and functionality of a commercial-style design. 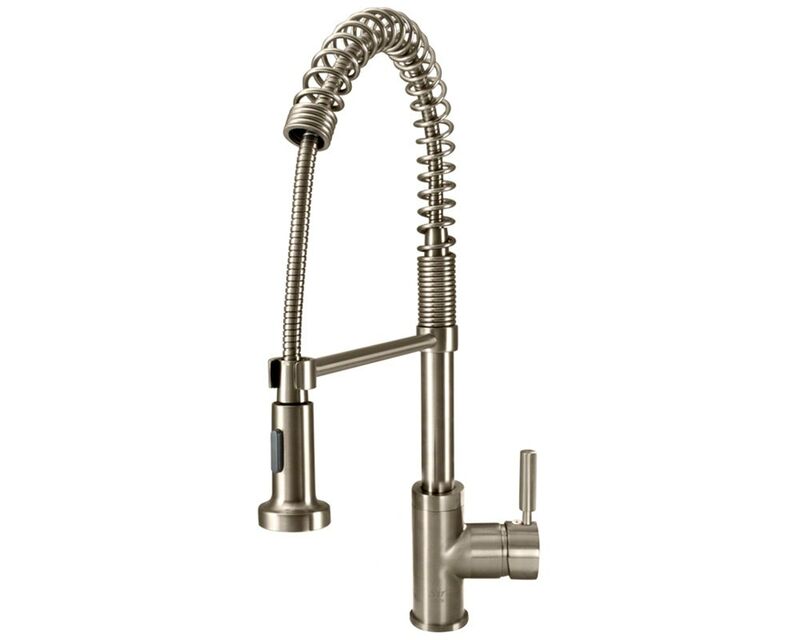 Styled after models found in the kitchens of the finest restaurants, this faucet will give your kitchen an air of professionalism. With the touch of a button, its steady stream of water can be turned into a powerful spray to rinse or fill previously unwieldy cookware. The 766-BN is available in a brushed nickel finish. The dimensions for the 766-BN are 2 1/8" x 10 1/4" x 20 1/2".